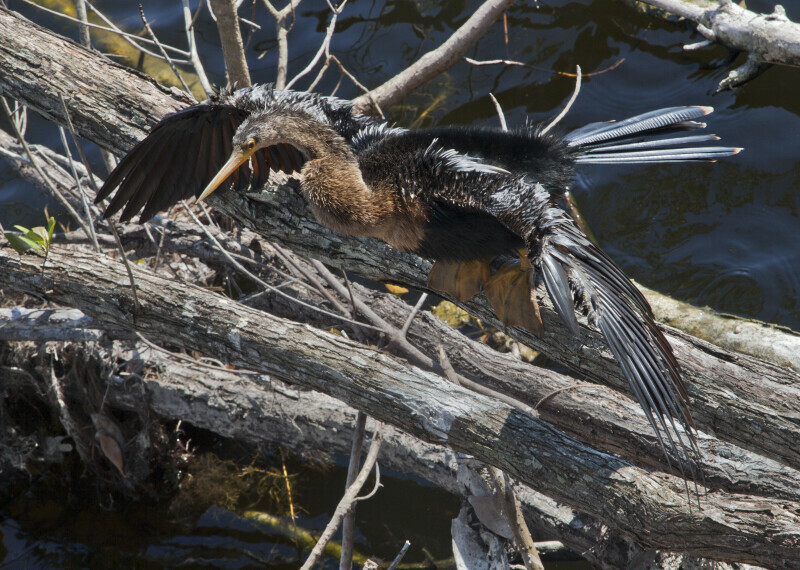 An anhinga (Anhinga anhinga) drying its wings at the Big Cypress National Preserve. The anhinga's feathers do not repel water. This makes it easier for them to swim underwater to catch prey. After swimming, anhingas perch with their wings spread to dry out their feathers.